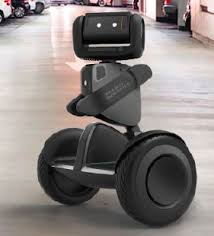 AUSTIN, TEXAS (PRWEB) APRIL 11, 2018 - Salient Systems is pleased to exhibit Turing Video’s intelligent security robot, Nimbo at ISC West, Booth 28073. Nimbo is designed to detect security violations or anomalies and approach the area with light/audio/video warnings that correspond to the situation. It collects HD video evidence and pushes notifications to security personnel, including live video streaming to mobile devices. Nimbo’s video is powered by Salient’s CompleteView VMS. CompleteView’s Dynamic Resolution Scaling allows faster remote callup of live video streams, enabling users to observe and respond to the security situation in real-time. Dynamic Resolution Scaling reduces the video bitrate to the smallest possible size without sacrificing frame rate or quality, allowing the Nimbo to operate on 4G data networks with the lowest data consumption and operating costs. Turing Video is pioneering the robotics industry with leading artificial intelligence and navigation systems for security robots. Located in the heart of Silicon Valley, Turing Video develops state-of-the-art deep learning, edge computing and self-patrolling technology to enable robots to assess situations and collaborate with human beings and drones in real-time, keeping facilities and inventory secure.